Read more about Germany Solar Energy Market. Solar theft has become very common in Germany. As many as 14 cases have already been reported about solar panels being stolen from solar parks in Brandenburg state. Around 130 solar modules were stolen from Berlin. Germany is the largest country in terms of solar installations and investments. 22% of Germany’s power is generated from renewable energy, one-fourth of which is provided by solar energy. Germany aspires to be the world leader in terms of solar installations. Since so much is put at stake for Germany, it cannot afford theft of solar modules at this point. Hence it needs to be more alert and install more devices to detect such theft and stop them. Since this trend is increasing gradually, there has been a growing market of trade in stolen solar gears and equipment because the stolen products are difficult to track and easy to sell. 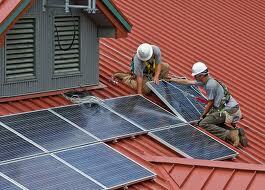 Read about German Solar Panels. During the period 2007-2009, Spain also witnessed theft in solar installations. Not only are photovoltaic modules being stolen, but there are also news of solar inverters being missing in Berlin. The large scale plants are at an increased risk of an attack shortly before they are finished, since surveillance cameras and alarms are not yet functional. While Brandenberg police estimated the value of the thefts is about 2 million euros ($2.6 million) to date, the solar industry and its insurers are taking note of the trend and raising concerns. Police made four arrests this year, and 16 last year, Salender said. To curb such theft and discourage the thieves, the authorities have come out with the idea of liquid DNA. Liquid DNA contains a DNA code that makes it possible to trace the thieves. This liquid is applied to the solar products and it leaves an invisible trace. It solidifies on application, and thus only the police can see the traces under UV light and hence chase the culprits through their database. Also panels and other solar equipments are marked and hence discourages the thieves to steal them, since they do not get an attractive deal for such stolen items. Obviously tightened security, surveillance cameras and alarms need to be used. The liquid DNA mechanism is expected to be cheaper than installing surveillance cameras. At least 14 times this year, thieves raided solar parks in Germany’s Brandenburg state, carrying off tons of photovoltaic panels in a crime that’s forcing investors in the world’s biggest solar market to tighten security.